Rihanna is moving mountains and making major moves. Keen to inspire her fans’ entrepreneurial spirit, the business owner made her way to NYC where she invited them to celebrate the birth of her latest venture Fenty Beauty. The fun-loving star was joined by Instagram star Branden Miller who turned up at the party as his character Joanne the Scammer. 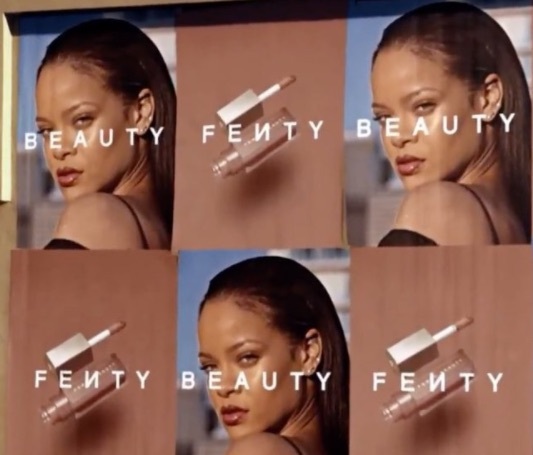 ‘Fenty’s official site offered insight into why the brand was built. Rihanna was inspired to create Fenty Beauty after years of experimenting with the best-of-the-best in beauty—and still seeing a void in the industry for products that performed across all skin types and tones. She launched a makeup line “so that women everywhere would be included,” focusing on a wide range of traditionally hard-to-match skin tones, creating formulas that work for all skin types, and pinpointing universal shades.